LONDON, United Kingdom – When the Broadway blockbuster Fela! 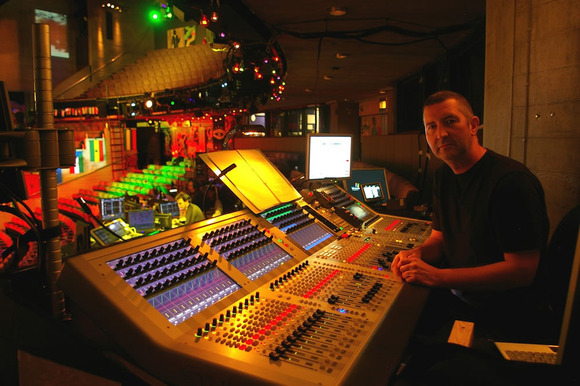 transferred to London’s National Theatre on the South Bank this month, Tony Award-winning sound designer Robert Kaplowitz took advantage of the auditorium’s vastly different form to rework his original soundscape, with a Studer Vista 5 digital console at the control centre. Portraying the life of Nigerian political activist and musician Fela Kuti had required the audience to be immersed in a soundfield as part of the adventurous production--but at the National he decided to go a step further. 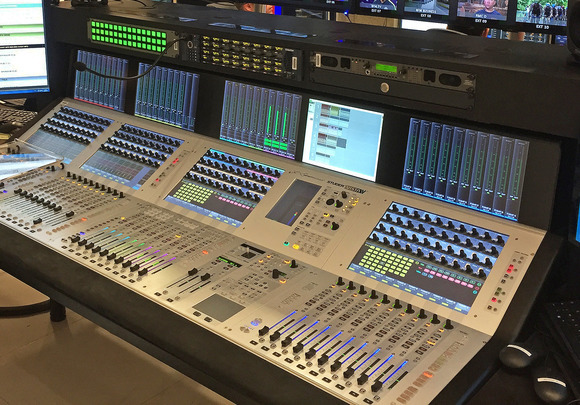 The opportunity came when the National’s Sound Operations Manager, Borneo Brown, and assistants, Matt Berry and Ed Ferguson, requisitioned a 42-fader, custom-configured Studer Vista 5 digital console for the production. “I had hoped to have used this desk for the Broadway production--but for various reasons it didn’t happen,” said Kaplowitz. Of the advanced feature set offered by the Vista 5, the highlight--as far as this show is concerned--is the Virtual Sound Panning (VSP) feature. Offering phase and time delay, this is assigned to the 11-piece band (over 25 channels), to provide panning and a wide stereo image without level shifts. Kaplowitz admits that the shape of the National’s auditorium had a strong impact on the mix. “This is a very different space--with 150-degree audience seating rather than a proscenium as on Broadway, where we used a runway to break up the proscenium space. At the National we are more ‘in the house’ and the VSP helps us bring the audience right into the show. One of the elements important to both the sound designer and [choreographer] Bill T. Jones was the vocal surround. “The challenge was that he wanted to know where every actor was on stage with his eyes closed, and also be able to feel the surround. At the same time Studer’s dedicated VST host plug-in engine lets users run favourite VST effects either as inserts or on effects sends, with recall on Vista's Cuelist function. “This has allowed me as a designer to pick my output FX, and by freeing me for the plug-ins means I’m not limited.” The plug-in suite includes eight full-time Lexicon reverbs. The ability to programme a custom channel / bus structure via Studer’s Config Editor, provided all the flexibility needed to structure a complex surround mix incorporating the TiMax spatialization. The freely customizable console DSP structure has been designed around 80 mono and 20 stereo inputs, including 25 vocal inputs, a further 25 inputs from the 11-piece band (including percussion), and 12 channels of playback sound FX using QLab. The bus structure includes 32 mono and eight stereo auxes, 40 special multi-track busses for feeding the TiMax system and 18 mono subgroups for the band. Each band subgroup is split into L/C/R feeds which in turn feed eight mono matrices. 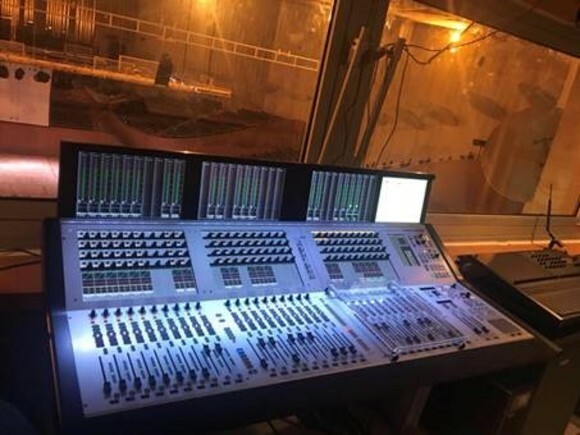 The show’s sound engineer, Paul Stannering confirms that they are using five Studer D21m Series I/O MADI expansion cards, which provide feeds for the monitor console, TiMax, an OB vehicle and lastly the Studer VST machine. Given the complexity of the show, Robert Kaplowitz’s task was boosted by the support he received from Studer’s sales director, Jamie Dunn, and product manager Peter Weber--with many show files bouncing back and forth between Kaplowitz and Dunn to achieve the optimum structure within the processing capacity. 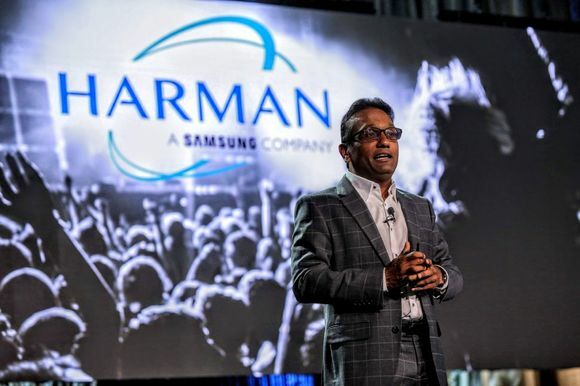 In addition to the flexibility and speed of the VCA’s, ease and speed of programming and an intuitive cue list structure are further attributes of the desk, he states.